The report was presented in Santiago on 10 July 2017 in the framework of a conference organised by SUBDERE (Sub-secretariat for Regional and Administrative Development). The conference was attended by over 300 participants, including Ricardo Cifuentes, Under Secretary of SUBDERE, Fidel Espinoza, President of the Chamber of Deputies, Andrés Zaldívar, President of the Senate, Claudia Serrano, Ambassador of Chile to the OECD. Also partipating were several mayors from Chilean municipalities as well as representatives from academia and civil socity organisations. 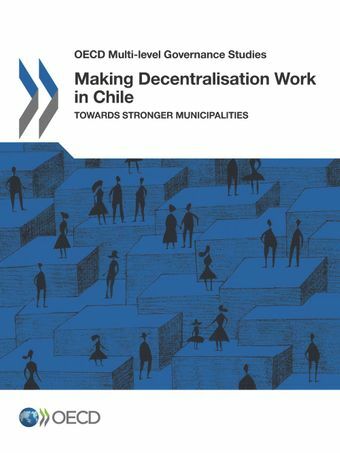 The review was requested by the Chilean government to conduct a comprehensive analysis of the Chile's municipal system, identifying the main challenges and recommending policy options for reform within the framework of the current governmental decentralisation agenda. Joaquim Oliveira Martins, Special Advisor to the Director of the OECD Centre for Entrepreneurship, SMEs, Local Development and Tourism made the keynote speech to present the main findings and recommendations. Chile is one of the most centralised countries in the OECD. Chile also has some of the highest levels of territorial disparities in the OECD. Increasingly, a new model of economic and social development, based on place-based policies and decentralisation, is needed in order to maximise growth and productivity across the entire territory. Aware of these challenges, the Chilean government has made decentralisation a priority since the late 2000s. Important steps were taken in 2009 to further advance the agenda but a decisive impetus came with the 2014-18 presidential programme, which set up a Presidential Advisory Commission for Decentralisation and Regional Development and defined a Decentralisation Agenda. The Review covers several dimensions of the municipal system: municipal responsibilities, fiscal and human resources, local public services, democratic oversight, citizen participation and co-operation and co-ordination mechanisms across and among levels of government. In the words of the Chilean participants, “this Review is the most comprehensive analysis ever done about the reform of municipalities and its challenges”.